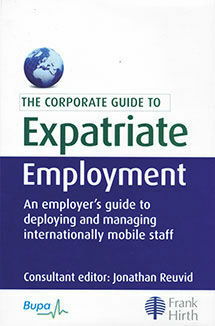 An employer’s guide to deploying and managing internationally mobile staff. Getting what you want from service suppliers when organising international moves for your company employees can seem to be a complex process. The aim of this chapter is to offer some tips and guidance in selecting a company to provide hands on move management services, making sure they deliver the required service levels at your behest and at optimum cost. In a nutshell, obtaining a cost effective solution whilst avoiding upsetting valuable staff when moving them around the globe. In selecting the right moving company for the job there are a few key indicators to look for in any supplier’s credentials. Assuming you are not delegating responsibility for moving services to a relocation company or international van line, you will find specialist international movers are members of FIDI Global Network, whose major criteria for membership is their FAIM quality accreditation that is audited by an external body to a demanding industry prescribed standard. Added to this is the ISO9001:2015 international standard for Quality Management Systems whose criteria again receives annual testing by a recognised outside organisation like the BSI. In the UK insurance services can only be provided by companies who are authorised and regulated by the Financial Conduct Authority (FCA) who tests a company’s financial stability, insurance knowledge and suitability of management. Once the credentials of potential suppliers have been checked the tendering process needs to be selected. Let us examine briefly the benefits and disadvantages of four alternative tender processes: three supplier quotes; exclusive supplier agreements, fixed panel; and two global suppliers. In the case of organisations having a large number of staff making international moves, getting three supplier quotes for each is not recommended. This can involve excessive administration with the purchasing officer having to deal with three quotes for each move, seasonal price fluctuations and other issues such as companies making local agreements and expats making private arrangements at company expense. Exclusive supplier agreements can offer the benefit of a streamlined purchasing process often via website bookings, uniform service, and cost savings due to the discounts available on high volumes of business. But the lack of competitive pressure on pricing once the tender process has been completed is a major disadvantage and it may be unwise to have all your eggs in one basket. Alternatively, a fixed panel of suppliers could be used to provide competition. The difficulty with this approach is that it requires a dedicated in-house move management team to compare the quotes and services of each company. Appointing two global suppliers combine the advantages of exclusive agreements and a fixed panel of suppliers, with work allocated on the basis of competitiveness and quality of service. Alternative suppliers can also be regionalised to suit a company’s own buying areas. Other criteria in selecting a move management provider include price, network coverage, IT support, innovation, past performance and experience, appropriate references and environmental awareness, health and safety standards. Each criterion can be given a weighting, which together will determine the final selection. Once companies are selected based on a criterion other than price and in order for the supplier to draw up an accurate quote model as possible, it is essential that they are provided with sufficient information. The more accurate and the relevant this is the closer the quote will be to the actual cost, and the lower the risk of a premium over the budgeted cost of the move. It is also important at this stage to define additional costs such as insurance, which have a major impact on the overall fees. Additionally, the purchaser must understand what is excluded and included in the fixed price of the move and make sure that the RFQ takes account of any additional charges, currency fluctuations, insurance and liability coverage. A history of traffic lanes is simply a record of the past movements of people. The record needs to be broken down into routes, frequency of travel and traveller identification – whether singles, couples or families. For example, of a total of 30 international moves of company employees in a year 27 or 90 per cent of them were between London and New York, of which 12 were couples (40 per cent) and 15 were single (50 per cent) with the remaining 3 or 10 per cent being couples moving between London and Beijing. Although the history of business moves may not accurately reflect the future, it is better to use some relevant information than a sweeping global wish list which can mean little. Freight allowances for company employees need to be detailed, such as single people allowed a volume of say 15m3, couples 30m3 and families 60m3. These allowances are used as an average to calculate the quote. Obviously, the lower the allowance the lower the average and total volume of the moves. US companies often use the weight not volume for an allowance whilst the rest of world calculate costs on volume. It may also be split as a percentage allocation between sea and air. To avoid nasty surprises it is important to get a quote for all the normal traffic lanes. A few suppliers are tempted to quote a very attractive rate on a small number of traffic lanes, such as London to New York, and make up the losses on others that were not specified in the original quote, for example London to Sydney. Understandably, it may not be possible to predict the addition of a new traffic lane generated, for example, by a new business win and the need to send an employee to a new destination. If this occurs, it is important when adding this to the contract that the rate quoted is benchmarked for competitiveness. Breakdown of costs – how much transparency? Within RFQs it is a good idea to outline how much transparency is required in fees such as management fees, freight booking fees, shipping and airfreight costs are required. Because freight costs are significant in any move and have many variable components, they require special attention. If it is demanded that within the contract they are fixed for a long period of time, the supplier will charge a higher rate to cover the risk of any cost increases. To avoid this, freight costs should be quoted separately and reviewed either every six months or annually, with certain parameters of variation for currency and fuel cost adjustment which are reviewed monthly by the operators. When a customer requests a detailed breakdown of costs, it is important to balance the need for sufficient information for effective monitoring with what is practical administratively for the supplier. For example, stipulating the labour cost of packing based on time and hourly rates would present the supplier with an onerous administrative burden, which in itself would be cost-generating. In the RFQ, it is essential to define the level of performance required from the supplier. Obviously, the shorter the time for the delivery of the employees household goods abroad and of the move notice period the greater cost of the quote. Supplier performance levels are outlined in the service level agreement (SLA). Because of the cost to organisations of delays or other related performance issues, the SLA is very important and is discussed in more details later. Currency rates fluctuate so that if the supplier fixes the rate in US dollars, euro, pounds sterling or some other currency, a premium may need to be added for the supplier to take account of the risk. The longer the period the greater the risk. To limit this it is best to provide a mechanism within the contract to apply periodically the actual currency level operating at a particular time. Alternatively, rates can be quoted in multiple currencies, although freight rates are usually quoted by the operator in US $ or Euros. The insurance premium for items in transit and storage must also be examined thoroughly as it can have a considerable impact on the overall cost. This is particularly important in the case of those suppliers that use the insurance premium to recover a profit on the move. It is also essential that various additional moving costs such as storage fees, store handling charges, ferry crossings, parking, any outside elevator, poor access for loading or unloading and other costs incurring standard additional charges, should be clarified in the quote to avoid substantial mark ups. Within the RFQ it is important to request what is to be included and what excluded from the cost of the move. This will help not only when the comparing quotes, but will also help to avoid shocks when the invoice arrives. Import permit charges (if applicable). There are a number of other items which are recommended for inclusion in the overall costs: wooden crating of items, additional collection of debris, and various charges associated with bad access, for example parking permits, outside elevator and above second floor delivery. Extraordinary items such as special tools or tradesmen services, customs inspection, additional delivery or pick up address, demurrage (surcharge to cover delays in loading or unloading), caused by the employee, and new freight surcharges. In response to an RFQ, companies will send their rate structures. This normally comprises of a grid showing the change in rate with consignment size and distance transported. Each mode of transport – road, air and ship – will have a grid and set of units. Consignments taken by road will have a volume-distance rate matrix (in cubic metres and kilometres) for domestic and European cross-border journeys. Airfreight is charged on gross size or weight, whichever is the greater, as directed by the airlines. Shipping rates are based on steel container loads with lengths of 20ft, 40ft and to some locations, 45ft; additionally, there are supercube containers which have extra height. Rates are charged for a full container load (FCL) or less than a container load (LCL). To draw up a grid it is best to consult with experts from the supplier, as this will avoid potential misunderstandings. An example of a rate grid is given In Table 5.1.1 below. The supplier would also provide the freight rates per destination for 20ft and 40ft container options. In addition, there are destination service costs such as port handling charges, customs clearance, labour for unpacking and removal of waste materials, and the return of empty containers to port. The service level agreement defines the levels of performance the customer requires from the supplier. Poor performance will affect not only the direct and indirect cost of a move, it will also have a hidden cost associated with it. For example, if there is a delay in delivery then there will be accommodation costs for the employee or even the employee’s family, while they wait for their belongings to be delivered. Furthermore, there is the opportunity cost of the employee being less productive through spending time on activities such as buying essentials, which should already have been delivered. This means that the cost of poor performance can have a major impact on the overall cost of the move. performance score; invoicing accuracy, eg 100%; and timely invoicing, eg 30 days. The transit time must be carefully defined. To optimise load utilisation, the supplier will consolidate a customer’s LCL load with other customer loads. This presents the risk of the whole shipment being delayed if there is a delay or withdrawal of any of the other consignments. By defining the transit time, the supplier will be able to offer and cost the service to match the customer’s requirements. Usually, the supplier will provide a grid of transit times against the variables of consignment size and distance for different moves, such as within Europe or overseas. Various industry surveys have shown that the added cost of delays can be as much as 43 per cent of the cost of the move for a four day delay. The proportion of satisfied transferees and seriousness of complaints from them will also affect overall cost. Therefore the service level agreement needs to refer to the minimum level of satisfied transferees, the maximum acceptable level of complaints and the nature of their severity. Examples of complaint severity include the surveyor being half an hour late categorised as a light complaint, rising to mis-estimation classed as a medium level complaint, while at the other end of the scale, not enough crew members being provided, leading to a delay, would be classed as a serious complaint. Similarly, due to hidden costs, the acceptable level of insurance claims per total value of the consignment, expressed as the claim ratio, needs to be defined. Otherwise there is less of an incentive for the supplier to take care in avoiding breakages and other incidents which lead to an insurance claim being made. Proportion of satisfied transferees, levels of seriousness of complaints and insurance claims are important as they all involve the cost of a transferee taking time off work to sort out the consequences of poor performance; for example, having to phone various people because of missing or delayed items or insurance claims. There are significant cost savings to be made by the client working together with the supplier. For example, giving as much notice of a move as possible will help reduce costs. Additionally, administrative savings can be achieved by making the checking and approval of invoices easier. This can be achieved by simplifying rate structures and including in the fixed charge the relatively small additional costs, such as bad access charges, that often arise from a move in a major city. To make quotations comparable and close to the actual cost of moving services, the supplier needs to have as accurate information as possible, that is a high quality request for quotation. Within this, the quality of service needs to be clearly defined in the service level agreement, particularly the length of time to complete a job, as this will affect its cost. For example, without detailing quality of service, because of the extra hidden cost of failure to perform, the cost of an employee not being able to get on with their work, can cause organisation to almost double their budgeted moving cost. But it must also be remembered that working in partnership with your supplier reaps rewards, not only of further cost reduction, but improvements in service.